"Source Photonics is pleased to have the opportunity to recommend E-linking Inc. We feel fortunate that they were able to develop a custom product to meet our most stringent requirements. Additionally, they were able to package this compound to facilitate easy, convenient application. Their customer support staff is outstanding and the technical department is extremely knowledgeable. They are always responsive to any questions we have and make a special effort to meet all of our needs. It is a pleasure doing business with this exceptional company. We look forward to continuing our long lasting relationship." "Choosing an adhesive during our design stage was a daunting task but E-linking’s customized adhesive solutions took that fear away and made one less task to worry about. 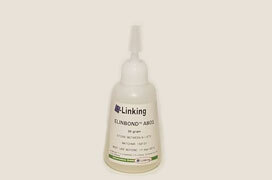 E-linking's adhesives provide solutions to all our design challenges. They are the heartbeat of our production line. 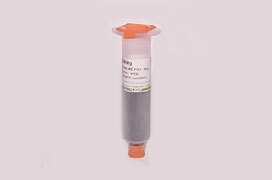 Whether E-linking products are used for potting or sealing, they provide excellent performance." "E-linking has been a wonderful partner with us. We have had excellent response to questions and requests for MSDS and BOS sheets. E-linking has also been great when it comes to supplying us with the right products and technical expertise to help us with our unique applications. Your whole organization has been very friendly and knowledgeable and we hope to continue doing business with you for a long time." One product met all of MIJA Industries, Inc. and Underwriters Laboratory’s testing requirements and it was a E-linking product. That breakthrough for MIJA Industries has led to a 30-year customer-vendor relationship between MIJA and E-linking. To date, MIJA has produced in excess of 200 million pressure gauges utilizing E-linking products. Since the 1980's, Dr. Walter Brenner has helped MIJA with many new pressure gauge bonding applications that have been industry first applications of bonding technology and, also, receiving Underwriters Laboratories listings for pressure gauges used on fire protection equipment. Thank you for your help Dr. Brenner and E-linking." "E-linking has been a supplier of ours for a number of years and we have always had great support and products from them! Our customer service rep has gone above and beyond to provide us with the answers to all our needs and is always willing to help – the entire staff is very friendly and caring! I would recommend E-linking to anyone!" "We would like to thank E-linking Inc. for all of their wonderful products and great customer service. AC Photonics uses a variety of E-linking products for fiber-optic applications and we appreciate your on-time deliveries because this really helps us be efficient with our production schedule. Your products are all high quality, as is your technical and customer service staff. We look forward to many more years of doing business with E-linking Inc."
"We have been using E-linking for over 5 years, and they have done nothing but provide us with excellent customer service and outstanding, quality products. E-linking has their own unique adhesives which cannot be purchased from any other supplier/distributor around and I would recommend E-linking for your future adhesive purchases." All trademarks are the property of their respective owners. This page includes links to other websites which may be relevant, but which we do not control. E-linking Inc. is not responsible for these sites and does not endorse their content.